« The Ranch Is Back! It is tough to comprehend how something you can’t see or touch is going to existentially change the human race. From the way you interact with the world, to economics and politics, big data is going to change your understanding of reality. Technologies like cloud computing, the internet of things, big data, and fast data will converge to control the world around you. The problem is, most people don’t know how it all works. A clear understanding will help you to prepare how these changes will affect your life. This series is that understanding. In part one we look at how everyday devices, devices for which you THOUGHT you knew the purpose, are used to collect data on you. 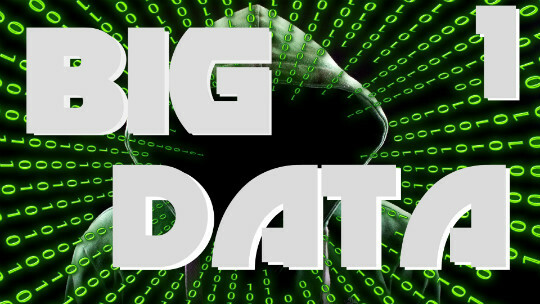 I’m sure that most of you watching have heard some terms like Big Data, Internet of Things, Cloud Computing, Artificial Intelligence, Fast Data, and Analytics. Most folks hear these buzz words and if you don’t work in these fields might be able to give a rudimentary explanation of what these terms mean. But most people don’t have a clue, and it is a shame, because the tangible things that these terms represent are working their way into your lives as we speak. When they take root, in society, economics, and government they are going to completely change your life, whether you want to participate or not. In fact, the generation being born right now will see a world so totally different, they will look upon our world with the same reflection as you or I would looking at dinosaur bones in a museum. These changes will not be immediate, like the effects of an invention of particular thing like a car, one day they don’t exist, one day they do. The changes we will talk about will be implemented over the next years and decade. In some cases, things with far reaching ramifications have already happened, whether you know it or not, more on that later. The things these terms represent are a massively complex subject, and since we are covering multiple terms, I’m going to coin a term to cover them all and I’ll call it data convergence. By watching this story you are going to be one of the few people in the know so to speak. The total sum of the people that understand what is happening will be maybe a few thousand plus whatever it says down there as the total views of this video. You’re not going to hear anything like this in one place from anyone, but stick around, stay tuned, and your perception of the world around you will never be the same. I hope you’re not wearing white underwear. Now, because this is a massively complex subject, I’m going to illustrate how data convergence works using an example that is easy enough to understand. The security camera. The security camera has been around since the middle of the last century, and until recently, had one job, to view and record a scene for the purpose of documenting issues and situational awareness. The security camera, however, holds the honor of being one of the first mass produced members of “The Internet of Things”, or everyday objects that are enabled to send and receive data. In effect, the traditional security camera became a sensor that was compatible with the internet. What I’m about to explain can, and will, happen in its own relative way with every device that becomes part of IoT, ranging from your refrigerator to the brake pedal in your car in addition to things specifically created for IoT like an Amazon Echo. So we all think of the security camera as a device that creates pictures or videos, and that is true, but in these pictures and videos they create tons and tons of data. In fact, a very significant percentage of all data, is created by security cameras. Some of this video, or data, might be viewed and interpreted by humans, and some of the data may be retrieved from recordings for a human to interpret after an event has occurred. In the end, only a very small percentage of the data created by security cameras is ever purposefully used. This is much the same with all data created, but that is rapidly changing. Right now, today, some security cameras have some abilities that were unheard of a few years ago. In the interests of providing enhanced security, engineers have built into cameras algorithms that allow them to recognize things like people, cars, and trucks. Take a look at this image from a security camera. If you look carefully, you will see that there are x people, x cars, and x trucks. Just like you just looked at the picture and were able to count the people, cars, and trucks, the camera can do this as well. By doing so, the camera has created what is known as metadata. Metadata, by definition, is data arrived from data. So from the data in this picture, a second stream of data has been acquired. This data is linked to, but separate from the actual video data. Now, this metadata can be used for security purposes; tell me when a person is in a specific area, or tell me when a person is in a specific area for a specific amount of time, but it can also be used to provide valuable information about what is going on in a business. We can see that this particular camera is looking at the parking lot of a retail establishment in a mall with other retail establishments. Because the camera is able to pick out people and cars, we can tell how many cars come into the parking lot, and how many people enter and exit the establishment. Furthermore, the retailer can deduce how many potential customers they missed because the cars and people went to other establishments in this mall. This, in and of itself, is useful data, but just from this data a lot more can be deduced. For instance, on Monday nights they put a Cheep Chicken sign right in the middle of the entrance drive. Now I love me some cheap fried chicken, now who, except for you crazy vegans, doesn’t love you some fried chicken, let alone Cheep fried chicken? Well, by counting the increased percentage of customers who enter the parking lot AND their store, as opposed to those who just drive by, they can begin to deduce the impact their cheep chicken campaign and the sign versus days they don’t have it. They can use this information to decide whether or not to introduce a tantalizing tofu Thursday to seduce the vegans and then compare which sale did better. They can also deduce with an actionable degree of accuracy how many of their customers are vegans. In addition to differentiating people, cars, and trucks inside of the security camera, cutting edge technology allows for demographics and mood of a person to be determined and ascertained. Now they can tell how many middle aged men walk in the store hungry and walk out of the store happy with a bucket of fried chicken, but more on that later. So, they’ve taken a formerly dumb device like a security camera and made it smart. This is just a simple example of a what is going on today with everyday devices all around you..but wait…there’s more. For now, we are going to move on to another buzzword associated with big data, the nebulous cloud. Everyone watching has probably heard of the term cloud in terms of computing and if you didn’t know you are now going to know one of the reasons for its existence. So, what retail establishment has just one security camera? Cheap liquor stores. But for the rest, and in our example, our establishment is full of them. Even though this is a smart device, you have to understand that our little security camera has a finite amount of computing power, albeit ever increasing. If we want to know more about what is going on at our retail establishment we are going to need more computing power. We could put this computing power in the store, but the premise of the cloud is that this computing power is done by companies that focus on doing just that and by focusing on that do it better. These companies build massive data centers with immense computing power and share these resources across many many customers in a virtualized environment. Sharing these resources amongst many customers allows for efficiencies and hence cost savings and from this you get what is known as cloud computing. I stated that our security camera has limited computing power and I also said that the cloud has immense computing power. In effect, our camera creates a bunch of raw data and has the ability to analyze a portion of that data in a certain, pre-programed way. If we send that raw data to the cloud, which has immense computing power, we can begin to utilize this data with a much greater impact. Our retail establishment has cameras that cover nearly every square inch of the store. Because of the extra computing power of the cloud, these cameras and the data that is generated by them can be positioned so that the people in the store can be located to a geographic point within the store. Because of this we can track how many folks walk in the front door and go straight to the Cheep fried chicken, how many people enter the store go somewhere else first and then buy fried chicken, and how many people enter the store and don’t buy fried chicken. We can compare this data to the days that the sign is not present and further validate the effectiveness of that one sign. We can deduce which customers come in solely because they saw the Cheep Chicken sign, add up their purchases, and in effect, we can determine the value and effectiveness of that sign. Furthermore, we are talking about one type of device. Keep in mind, the store has many other types of devices that generate data that could be added to further explain the picture they are creating, the cash registers point of sale data, inventory data, the ping from your phone, but for now, we are focusing on this one device, the camera. Now I know that some of my audience is probably planning a life of self-sufficiency, completely off grid and as far away from technology as possible at this point, and some are on the fence. For you fence sitters, here is the rail splitter. Do you want to know how this internet of things sensor known as the security camera can predict the future?